When I connect my phone to my jvc car Bluetooth I can play music just find but if I receive or make calls they can’t hear me but I Can hear them and I have to switch phone to speaker or headset. I have paired 3 different phones and its always the same, plays music but if I make a call the person on the other end can’t hear me but I hear them .Can you please help me its driving me crazy. Since you can hear callers, it sounds like the microphone on the receiver could be physically blocked or malfunctioning. Which model of JVC in-dash receiver is it? And what type of phones have you paired? Test the mic to see if your receiver hears your voice commands. When you’re taking a call, have you tried boosting the microphone level on the display? I see in the manual that there is a volume level adjustment for the microphone in the lower right—which is only available when you’re in a call. Great site to download any games full version for pc. Keep getting an error message from my Samsung tablet :unable to communicate with QCY-Q29_L….can someone help me? This is a first time pair with the tablet. As far as driver updates, that’s only relevant for computers. 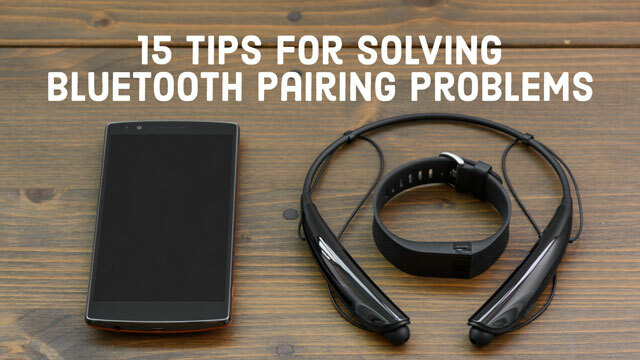 What are you trying to pair with your android device? What version of Android are you running? Looks like you have the pair the right ear piece out of the case to pair and then remove the left ear piece for it to connect to the right ear piece. If you’ve done that, I’d try forgetting the QCY Q29 on your Bluetooth list and put the headphones into pair mode again for a second try. This doesn’t do anything to fix actual connection issues. I recently purchased a new car stereo that supports bluetooth but when I attempt to connect my galaxy7 phone to it and play music, it registers as conected but no audio comes out. Then when I try to connect my phone to other bluetooth devices, the problem caries over to the devices that woeked previous to the pairing with the car stereo. I thought it was my phone but I tried two different brands and the same issue. Can a car stereo ruin my bluetooth? Only after doing a factory data reset on my phone was I able to connect to the Bluetooth devices and get audio again but not the car stereo. My mobile phone was nicely paired and connected wih onkyo av receiver and was playing music in mobile and streaming the audio thorough onkyo music system.But since last five days while trying to play music in my mobile no audio was heard in my system.AV receiver shows’ connected’ but in my mobile while connected with av receiver after pairing it becomes silent as it should be but no audio streaming in music system.While checked in mobile bluetooth connection it shows"connected (no phone)”.Tried by restarting, by clearing cache files but no positive result.While tried to play by pairing and connecting av receiver with another mobile it played smoothly in music system.while connecting my mobile with another mobile it connected fine data transfer is done smoothly.But couldn’t transfer audio to av receiver.Being myself a audiophile it’s a great trouble for me.Av receiver is working fine with my tv ,desktop,usb drive or even with other mobile phone.Any guidance to fix this is welcome. Sure way to not get ripped off by bluetooth hype. Make the salesman pair your device as a condition of sale. The land fills are full of discarded Bluetooth stuff. Trump tweets in bluetooth. I can connect my phone with my onkyo AV receiver via Bluetooth and play music from my phone easily and smoothly but since last few days while trying to connect the same pair, in my phone it shows ‘connected(no phone)’ and in the av receiver it is showing’ connect’ as earlier. In the phone the music continues to play but it’s speaker goes off but speaker systems fails to play. Tried by soft resetting but failed. Any guidance to rectify the same will be cordially accepted. Even if you have everything connected properly, the iPhone won’t necessarily select your headset when you make/receive a call. When you make or receive a call, tap on the Audio button on the screen (after you place a call, it’s to the right of the keypad button on the top row). When you tap the Audio button, you should see a white window slide up from the bottom that lets you select from the headset, your iPhone and the speaker. Selecting the headset should let you hear and turn on the headset’s microphone. Let me know if that doesn’t work. Thanks Suzanne, although I had tried that too. Turns out the only thing that worked was shutting down my iphone, and restarting it. It works fine now. Least helpful post I have ever seen. I connect my iphone successfully with car engine off as required but when I start the engine the BT connection fails. The problem just started recently. Any ideas as to what the problem is that is causing this??? I unpaired my head set and tried to pair it again, and it doesn’t show up dieing the scanning process anymore. When I tried to pair my bluetooth headphone with my PC, it’s always paired as keyboard, i tried different way (update driver, remove and add the device again, even use a bluetooth adapter) but the headphone is still recognized by the PC as a keyboard. Are there any solutions for that? My headphones were working fine earlier today, but now my phones bluetooth cant find my headphones even though both are turned on and it was working fine earlier. I connected to a computers Bluetooth earlier to watch a video, then disconnected it, and when I tried to sync my headphones back to my phones bluetooth it couldn’t connect. I’ve turned both off and on again and restarted my phone three times but it simply can’t find my headphones bluetooth? There doesn’t seem to be any clear reason why this is happening? For WINDOWS 7 click Start, Devices and Printers. Double-click your bluetooth mobile phone to open the Bluetooth Device Control. In the lower left click on Open Bluetooth settings. Under Discovery, check the box Allow bluetooth devices to find this computer. Select the Incoming (device initiates connection) radio button. Click OK, and allow it to automatically add a com port. Now when you send the file from the cell phone to the computer, a message box will appear in the system tray indicating a file is incoming. Click the message box to accept the file. The box will choose a folder for you to save the file. I have a 2008 BMW X5 and a Samsung Galaxy S3 cell phone. I can pair the audio from the phone but I am not able to pair the cell phone’s contact list. A popup screen comes up on the phone asking if I want to pair the contacts. I tap OK, the screen goes away and momentarily comes back with the same popup screen asking if I want to pair the contacts. Can you help please? 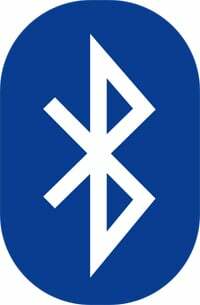 This seems to be all basic instructions on connecting a Bluetooth device. None of this helps to fix the actual problem of ANDROID CONSTANTLY NOT CONNECTING TO BLUETOOTH DEVICES. Every other day, I have to RIP OUT THE BATTERY and restart my stupid Galaxy phone just to get the F^@#ING STUPID BLUETOOTH working again. It’s obviously an OS issue and NOT a PROBLEM with my HEADPHONES - especially since it HAPPENS TO EVERY BLUETOOTH DEVICE I HAVE. I am pairing my phone to a bluetooth headphone, now if I run an audio application to record a speech from a radio. Which mic will be used? The headphone mic or a the mobile mic? I have a Panasonic TC-P50S30 plasma TV (2012). This TV has neither a headphone jack nor audio outs. To enable bluetooth I bought a TaoTronics Bluetooth 4.1 Transmitter/receiver. I then bought a digital audio to analog adapter and a TOSLINK cable. I then ran the 3.5mm cable from the TaoTronics into the 3.5mm female to 2 male RCA and plugged that into the audio outs on the digital audio to analog adapter. I then plugged the adapter into the digital audio out on the back of the TV. I then was able to pair the TaoTronics to the headphones. This was confirmed by voice coming from headphones that ‘connected to TaoTronics’. But cannot actually get the sound from the TV into the headphones. I can find no way with this particular TV to change speaker mode, from say, TV speakers to auxillary. The TV has ‘viera link’ which when I press that function from the remote, the ‘speaker output is greyed out so no chance to change that. If I go into the advanced audio settings on the main menu, the only option is to turn the TV speakers on or off. If I turn them off, I still get no sound coming from the headphones. If I turn them on still no sound from headphones. I’ve tried turning everything off, unplugging the TV, turning everything back on and pairing again but still no sound from headphones. Both the headphones and the TaoTronics are fully charged. Does anybody have any thoughts on what the problem may be? I had difficulty pairing up & your website solved it. Needed to forget the device and it synched to the headphone. Thanks. EVERYTHING WAS WORKING GREAT.. Then I stopped using the headset for over a month. Fully charged but it keeps saying pairing when I ask to call…. Why do I have to repair when not using? And I forget—to I pair with unit off or ??? Does anyone else have Bluetooth disconnects & if you go to the paired list connection failed? I had to wait In a long left turn lane because of the redlight & I was disconnected once again; no one is allowed to get behind the parents Bluetooth just to steal confidential information nor force me to lose my drivers license!!! I had my phone powered off while inside the gym; when I was driving back to the apartment I wanted to listen to my music & I wish I didn’t have to take it out of my gym bag but I had to take the phone out without looking at my gym bag & short traffic light I had turned on the mobile Bluetooth & made sure the car multimedia was connected on the mobile phone then went back to the vehicle & try to play the music or connect for the music & connection failed once again; so I had to do all the steps once again to connect the phone Bluetooth to car multimedia!!! How can it keep failing to connect & why do I have to keep repeating the steps on reattaching my phone to car multimedia? I would be questioning why the vehicle gets disconnected from my phone; if you connect for the music but connection failed; make sure the phone car multimedia is connected & if that wasn’t the problem; then you had to tinker around only with the stereo on & not the engine tinkering & if you already had your phone but technically go to more settings & forget the carmultimedia; turn off & turn the switches back on & upper right hand corner :(3) dots & refresh & add a new device to the vehicle but reinstalling car multimedia to the phone & accept everything on the vehicle Bluetooth; after I did that in one parking lot I get down the hill to another traffic light & phone practically got disconnected from the vehicle while listening to music!!! I might have my phone powered off because of charging & you will lose the Bluetooth signal on top of the phone!! 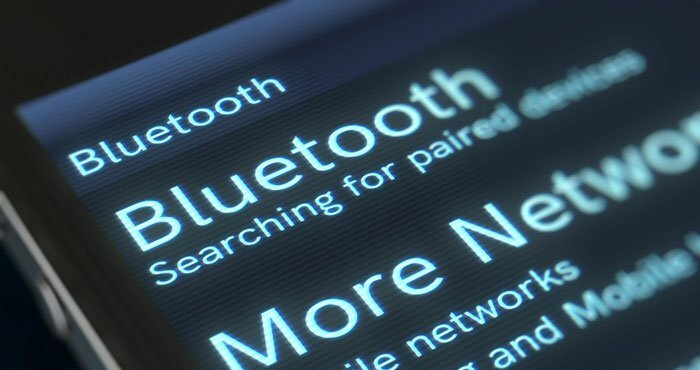 People can turn on the Bluetooth on top of the phone & people should be in business & also making sure everything is connected on the list of devices!! When there are actually fourteen troubleshooting tips to solve a problem as simple as using a speaker, that means the technology has gotten too complicated and needs to be simplified. Tip 8 delete a device from a phone and rediscover it - fixed the problem! Thank you! Tip number 8 fixed my problem. Thank you! Glad the tips were helpful! The Bluetooth speaker I bought a bolt used to pair with CB However now it says your device is connected but there is no sound output. I have tried turning off both the Bluetooth connect tab and the speaker. No luck is it an accessibility issue. Somebody must have answers. I have an older speaker that also use to connect but is experiencing the same issue!